We are studying of Penetration Testing Tutorial This article will cover how to downlad, install, activate and access web interface of Nessus on kali Linux. 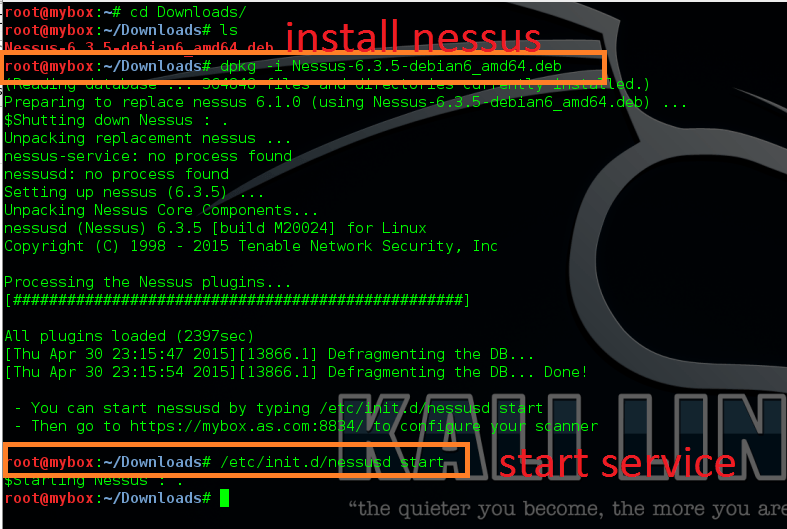 This post is origin How to Install Nessus on Kali Linux 2.0 Move forward and start your tutorial. In previous post you have completed Nessus Vulnerability Scanner Tutorial If you did not read, please read it. 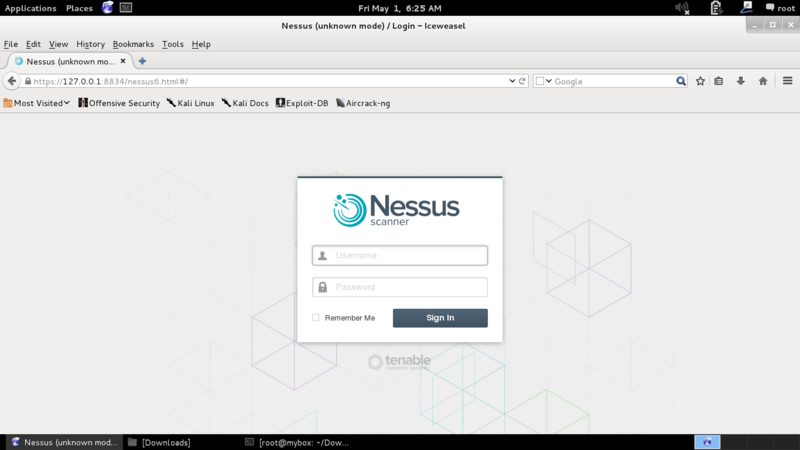 By default Nessus file is downloaded in the Download directory so first go inside the Download directory and run following command to install Nessus on Kali Linux. And after complete installation run another command to start service.